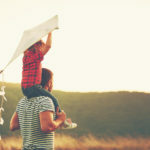 When a child is old enough to make certain decisions for themselves, it may become a question of whether or not they can choose where they want to live as their parents work through the divorce process. This may be one of the most difficult aspects of a parent’s life when it comes to their child and custody determinations. In many states, there are laws that dictate whether or not the child can make their own decisions in regards to where they are living. In California, the laws vary from many other states. When parents can’t come to a decision themselves, the courts will typically make the decision for them based on what they see. There are many factors they may take into consideration such as the parent’s histories of taking care of the child, their ability to be a fit parent, their stability, health and safety matters, the residence of the child’s siblings, and so much more. One of these factors is the child’s preference. If the child is at least 14 years of age in California, he or she can state a custodial preference with the court. If the child is younger and the court determines that it is in the best interest of the child, they will still allow a child to testify about their preference. 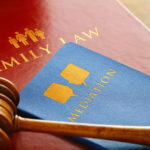 If the court does not allow the child to testify based on the circumstances, they will still offer a solution for the child to express their opinion, sometimes through the use of a custody evaluator. The judge will decide how much weight to give to the opinion of the child based on what they see and hear. Whether or not your child will testify about their preferences in court really depends on the judge and their opinion on the matter. Judges are permitted to limit what questions are asked as to not humiliate or demean the child. If you wish to speak with us about these matters, you can give us a call today. We will help you with your divorce and custody matters to the best of our ability to get you the rights you deserve.